Thanks to those of you who tuned in for my Elementary Augmented Reality webinar this past week with Simply K-12. As promised I will be discussing the 10 apps that I covered in the webinar in more detail in two separate blog posts this week. So here are five apps Augmented Reality apps that allow us to explore the relationship between learning and play in the 21st Century Classroom. This app is a great way to get students excited about the writing process. Students can choose from a series of two-dimensional drawings of scenes from various holidays, dancing dolls, and fire-breathing dragons. Students color in the page and then you scan the two-dimensional image and watch it come to life and become 3D with sound. How does this relate to the 3Rs? I have had 3rd grade students who are struggling to write take the picture and write a full paragraph about the details of the picture. It is a great way to get young students excited about the writing process. I have blogged about this app in the past but since then I have had the pleasure of using it in the elementary classroom and it was a real hit. You as the teacher sign up for a Zooburst account. Then your students take turns on the computer putting in different text, images, and audio to create a pop-up book. I used this recently with a 5th grade phonics class who was reading a Shell Silverstein poem. Each child was responsible for creating a page for each line of the poem. The application has a wonderful image library so students do not have to navigate the internet to look for pictures. When you are viewing the books of the iPad you can choose “camera” mode, which turns on the Augmented Reality capabilities. Also, look at their wide variety of premade stories. 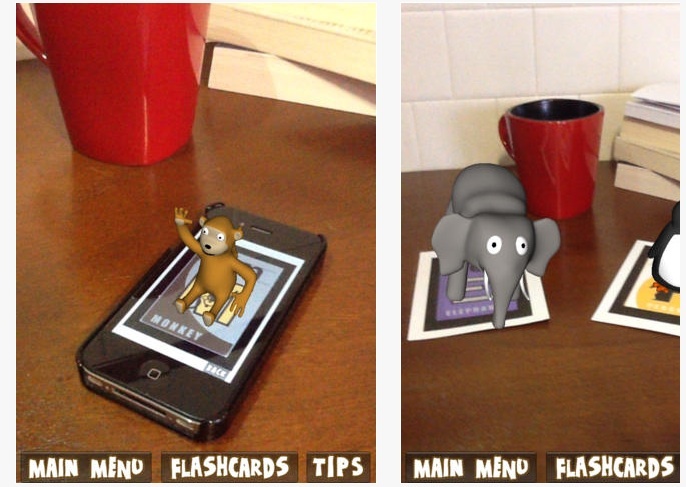 This app consists of individual AR triggers that you can print out. 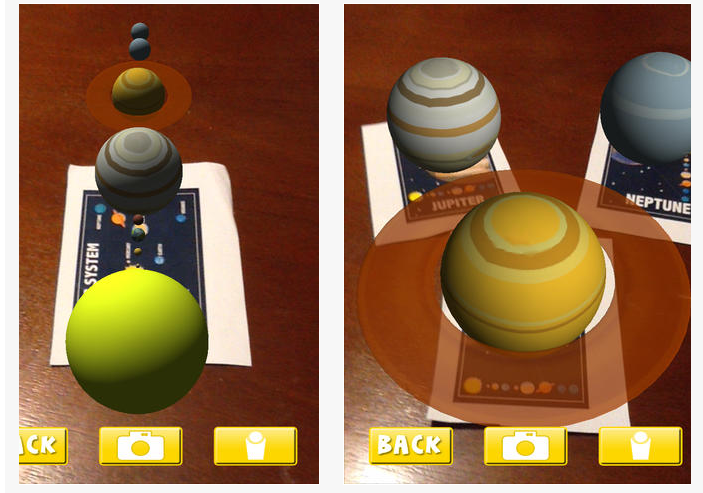 Have students scan the individual planets that they can scan with the iPad and watch the 3d planets pop up in their hands. 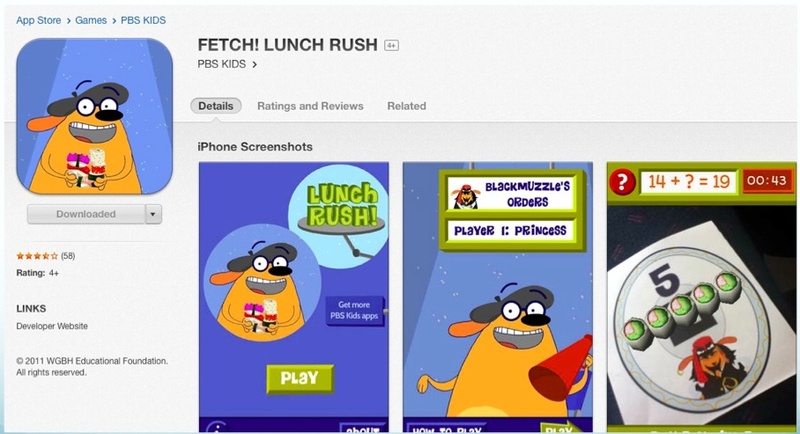 This is the perfect app for 4th graders. I used it tandem with iMovie to teach the planets and in generated high levels of engagement with the class. I had great success with this app when I worked with special education students and ELL students who were entering kindergarten and grade one. The app has 26 print out flashcards, one for every letter of the alphabet. The student scan the letter and there is a 3d monkey that pops up and the audio says “M is for Monkey”. This is a great blend of visual, verbal, and kinesthetic learning which can increase letter recognition skills for a variety of learner profiles. It works on an iPad2 but not an iPad3 or iPad4. Still if you can get it working on any device it is a great tool for learning. Cyber chase – Shape Quest and Chromville are both excellent AR apps.